We made it! After nearly 3 years of planning and saving to travel the world we touched down in Ulaanbaatar. We did however have a few issues with our flights along the way. Six days before our departure date the original flights were cancelled. All I can say is never book through Gotogate. They really messed us around and have finally agreed to issue us a refund, however this will take 2-8 weeks. So 6 days before we were planing to leave we were scouring the internet for new flights, nothing was going to stop us now! We eventually found some for £90 more, stopping in Frankfurt for 5 hours then jumping on a 10 hour flight to Mongolia. What could go wrong now…? Well you see the pilot didn’t turn up at Heathrow, 3 hours after we were meant to leave we were still in the departure lounge wondering if we were going to make our connecting flight. We still had to get to Frankfurt, collect our luggage then check in again for the second leg. Luckily we made it and had just enough time to grab some food to keep the diabetes ticking along nicely. The flight itself wasn’t too bad and after a half hour stop in Russia for some refuelling, which we didn’t know about, we eventually landed in Ulaanbaatar. Throughout the flights and at the airport’s there was more than enough food available for my diabetes. I also took along some cereal bars and glucose tablets just in case. It’s always a good idea to have back up, like you would do in everyday life I suppose. Jumping on a plane is no different! I had my insulin in Frio packs in my hand luggage to keep it cool. These are great inventions which I will be using for the next year to keep my insulin cool whilst traveling. I also kept my needles, BM kit and test strips in my hand luggage and not once at all 3 airports did I have an issue with this. I also carried a letter from my doctor stating I was diabetic and that I needed to carry all these things to remain in good health, just in case! This along with a medical alert necklace is enough to get you through security, if you ever run in to problems. Only once has this happened to me, when leaving Sri Lanka but as soon as I mentioned diabetes they understood. 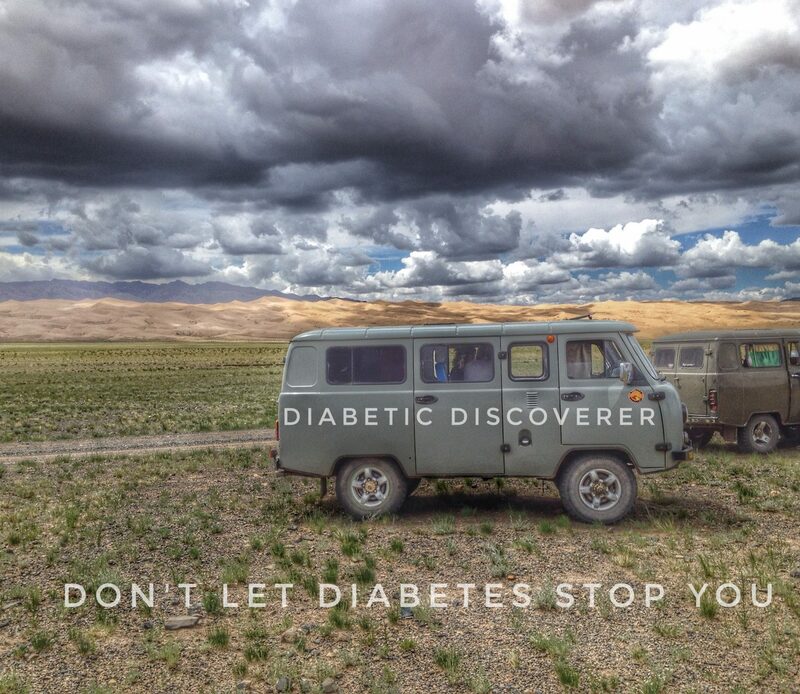 Don’t let diabetes stop you, it’s part of your life, roll with it! Walking out the airport at 8am, in the blazing sunshine and being surrounded by hills was a bit of a surreal feeling, we had been planning it for so long I kind of forgot what I was expecting, I hope that makes sense! We jumped in a cab and $25 and half hour later we were at the front door of our hostel. It’s worth noting that you cannot get Mongolian Tugrik outside of Mongolia, so US dollars is the only option you have to take with you for the airport. This entry was posted in Diabetes, Flying, Health, Mongolia, Travel, Ulaanbaatar. Bookmark the permalink.